Ruby binding for libsodium, a fork of the Networking and Cryptography library. NaCl is a different kind of cryptographic library. In the past crypto libraries were kitchen sinks of little bits and pieces, like ciphers, MACs, signature algorithms, and hash functions. To accomplish anything you had to make a lot of decisions about which specific pieces to use, and if any of your decisions were wrong, the result was an insecure system. The choices are also not easy: EAX? GCM? CCM? AES-CTR? CMAC? OMAC1? AEAD? NIST? CBC? CFB? CTR? ECB? OMGWTFBBQ! NaCl puts cryptography on Rails! Instead of making you choose which cryptographic primitives to use, NaCl provides convention over configuration in the form of expertly-assembled high-level cryptographic APIs that ensure not only the confidentiality of your data, but also detect tampering. These high-level, easy-to-use APIs are designed to be hard to attack by default in ways primitives exposed by libraries like OpenSSL are not. This approach makes NaCl a lot closer to a system like GPG than it is to the cryptographic primitive APIs in a library like OpenSSL. In addition, NaCl also uses state-of-the-art encryption, including Curve25519 elliptic curves and the XSalsa20 stream cipher. This means with NaCl you not only get a system which is designed to be secure-by-default, you also get one which is extremely fast with comparatively small cryptographic keys. Crypto.rb Gitter: web-based chat about Ruby crypto projects including RbNaCl. You can use RbNaCl on platforms libsodium is supported (see below). If something doesn't work on one of these versions, it's a bug. Note: Windows installation instructions are available. At least version 1.0.0 is required. ...to pull it in as a dependency. SimpleBox: easy-to-use public-key or secret-key encryption "on Rails"
Additional power-user features are available. Please see the Wiki for further information. YARD API documentation is also available. 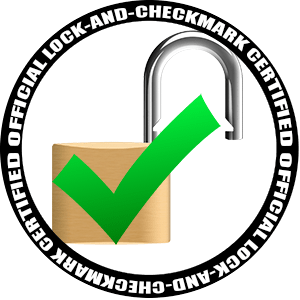 Does it have a lock with a checkmark? Copyright (c) 2012-2018 Tony Arcieri, Jonathan Stott. Distributed under the MIT License. See LICENSE.txt for further details. Generated on Mon Apr 22 10:27:26 2019 by yard 0.9.19 (ruby-2.5.1).